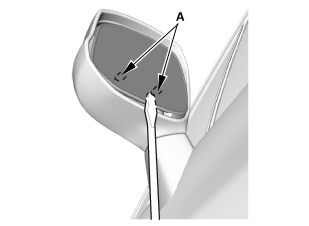 Remove the mirror holder (A). For some models: Disconnect the connectors (B). NOTE: Turn the mirror housing (B), then remove the lower screw (C). 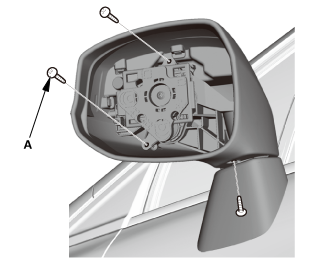 Remove the mirror housing cover (A). 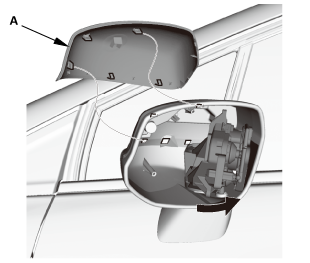 Install the mirror housing cover (A). 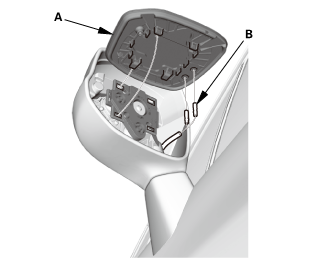 Check the actuator rods (A) and the actuator boots (B). 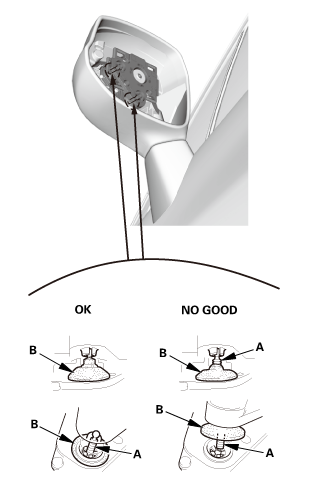 Install the mirror holder (B).